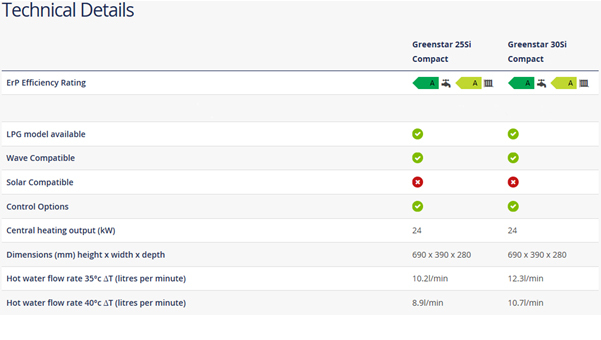 Energy saving and convenient All Worcester Greenstar combis are designed and manufactured to provide high levels of performance and operating efficiency. This is achieved through features such as the �keep hot� facility which ensures that hot water is almost instantly available whenever it�s required. The boilers also incorporate a special �ECO� mode button which can be used to over-ride the �keep hot� facility. This has the bonus of using less gas, as energy is only used when hot water is required. For added efficiency, models such as the Greenstar CDi Classic, Greenstar CDi Compact and Greenstar Si Compact condense in both hot water and heating modes. 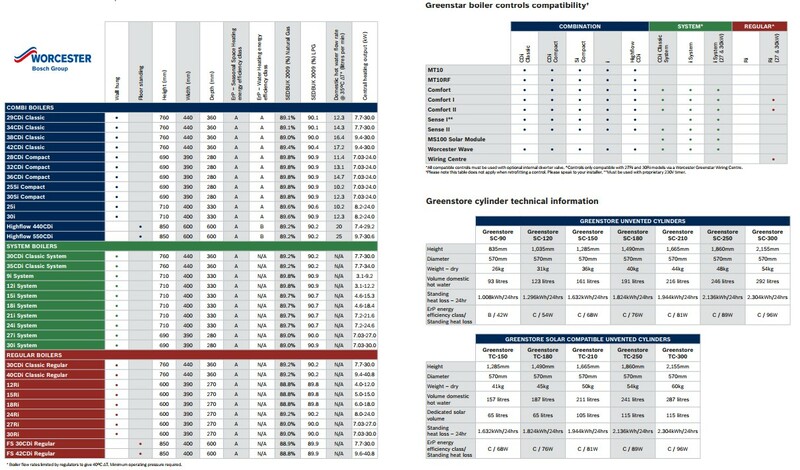 Greenstar i Gas Combination Boiler overview. New in 2015, and replacing a well-established award-winning boiler that has been installed in over 1 million homes across the UK, our latest model now has a user-friendly control that allows you to adjust your heating and hot water to meet your exact requirements. 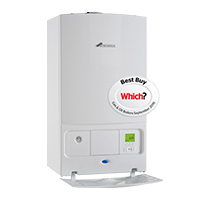 Greenstar CDi Classic Gas Combination Boiler overview. 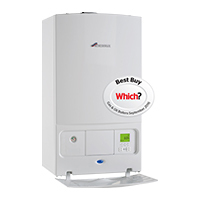 Our Greenstar CDi Classic boiler is our top of the range combi boiler offering the highest levels of hot water comfort. 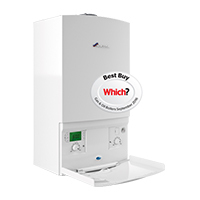 This boiler has set the benchmark within the industry for efficiency and reliability and is suitable for homes with one or two bathrooms. 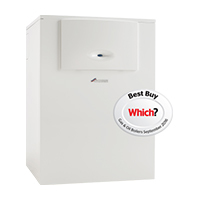 Greenstar Si Compact Gas Combination Boiler overview. Greenstar CDi Compact Gas Combination Boiler overview. 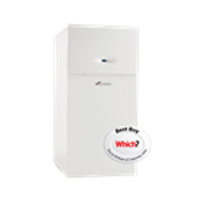 Our Greenstar CDi Compact combi boiler is suitable for small, medium, and large-sized properties with one or two bathrooms. Greenstar CDi Highflow Gas Boiler overview. 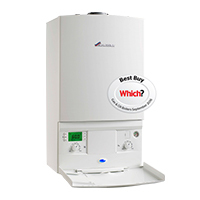 Greenstar system boilers are known for their high quality and reliability, making them robust enough to stand up to the highest of heating and hot water demands. 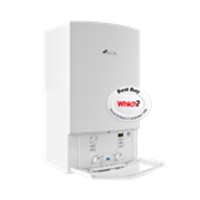 Efficient and economical Ultra efficient and economical to run, Worcester system boilers incorporate many of the heating and hot water components found in a traditional heating system, making installation less disruptive and neater. Space saving and attractive the compact size of Greenstar i System boilers means that they can fit perfectly into many locations, with the 27kW and 30kW models even fitting into a standard kitchen cupboard. With a smart design, they�ll also look great in your home, whether alongside cupboards or placed on their own. 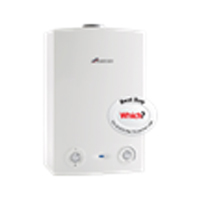 Perfect partners Worcester system boilers can be used with a wide choice of optional controls to maximise comfort and energy savings, and are also perfectly matched to our comprehensive range of Greenstore hot water cylinders. Choosing a complete Worcester system will ensure you will have a highly efficient solution and the opportunity to get a comprehensive 5-year guarantee across your entire system*. System boilers are also compatible with our Greenskies solar water heating systems, which can be installed at the same time as the boiler or easily retrofitted in the future to reduce your energy bills even further. 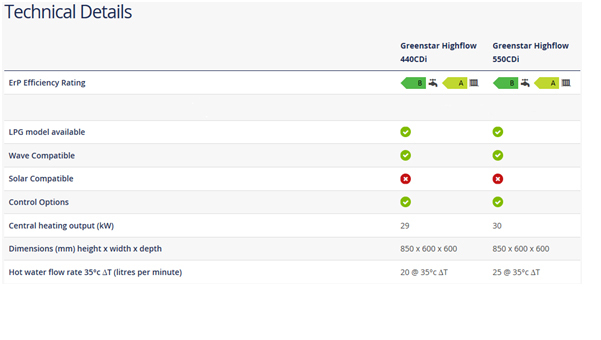 Greenstar i System (9kW to 24kW) Gas Boiler overview. 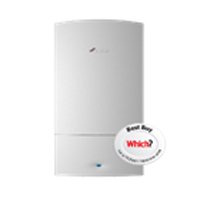 This boiler can also be used with our high efficiency Greenstore cylinders for a complete Worcester system solution for your home. 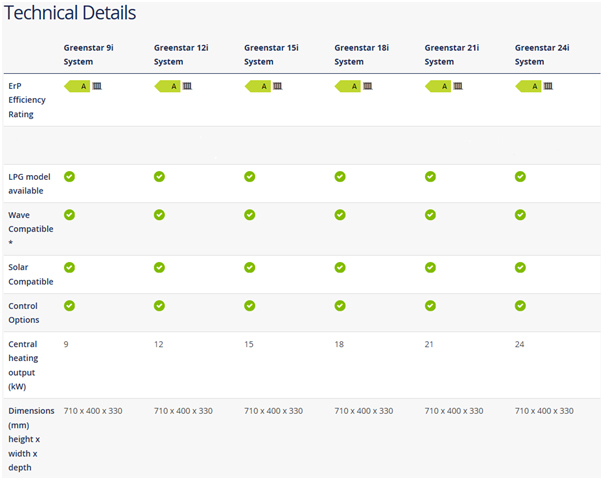 Greenstar i System (27kW and 30kW) Gas Boiler overview. 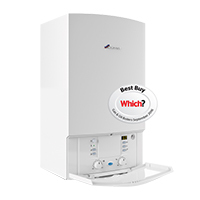 Suitable for small, medium, and large homes, the boiler can also be fitted in a standard kitchen cupboard. Modern efficiencies with over 90% efficiency, Greenstar regular boilers will help reduce your energy bills and your carbon footprint. 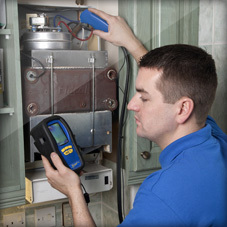 They can enhance heating and hot water performance in all sizes of homes, including those with two or more bathrooms, and where mains water pressure is low. 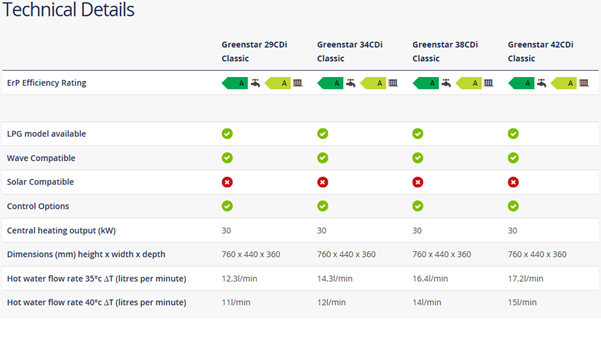 Small in stature the compact size and smart design of Greenstar regular boilers means that they will look great in any home, with several options readily fitting into a standard kitchen cupboard. 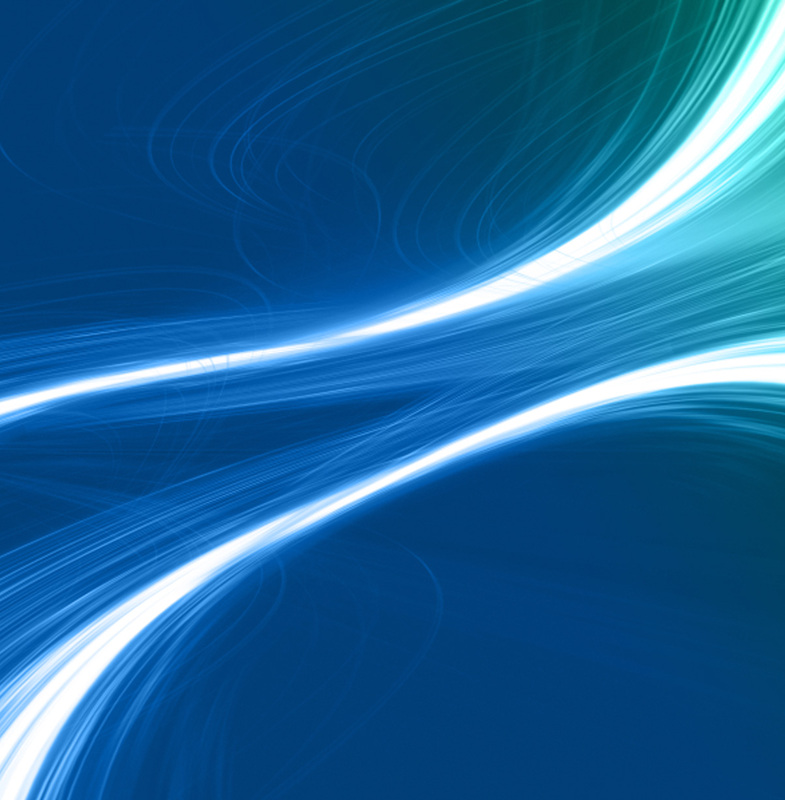 Replacement installation is often simple and straightforward, which keeps costs down and disruption to a minimum. 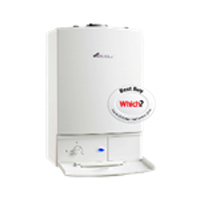 Worcester regular boilers also perfectly meet the need for large hot water requirements. For example, two bathrooms can be comfortably used at once with no loss of pressure or temperature. They can also be combined to cater for high water demand in properties with three or more bathrooms. In this scenario, two boilers would work together to ensure a rapid re-supply of hot water despite the large volumes of water involved. 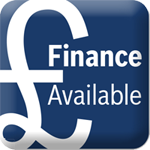 Solar compatible All our regular boilers are compatible with our Greenskies solar water heating systems which can help to reduce your energy bills whilst also benefitting the environment. 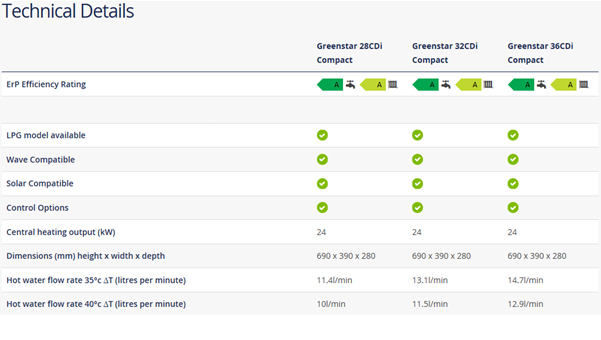 Greenstar Ri (12kW to 24kW) Gas Boiler overview. Greenstar Ri (27kW and 30kW) Gas Boiler overview. Greenstar CDi Classic Regular Gas Boiler overview. Greenstar CDi FS Regular Gas Boiler overview. 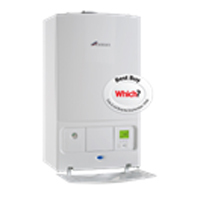 Our Greenstar FS CDi Regular is a perfect replacement for an older floor standing boiler in a larger property.